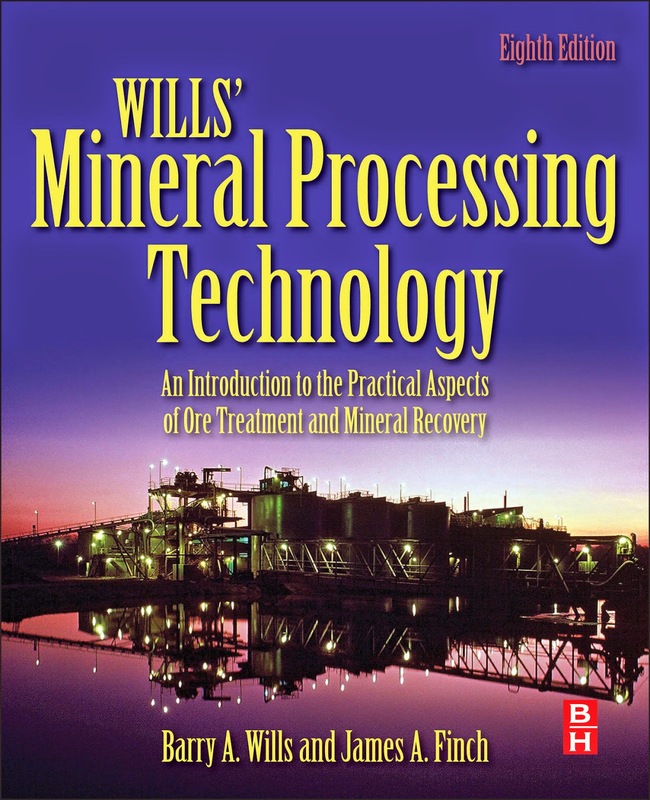 I am pleased to report that the 8th edition of Mineral Processing Technology is now in print, and can be ordered via the Elsevier website (use Promotion Code ATR30 to obtain a 30% discount). This is a major update of the book, which first appeared in 1979, and I thank Prof. Jim Finch and his team at McGill University, Canada for continuing the fine work that Prof. Tim Napier-Munn's group at the JKMRC in Australia put into producing the 7th edition nine years ago. Jim and I will be presenting two signed copies of the book to the best student poster presentations at Flotation '15. Jim and I would also like to acknowledge all those who helped prepare this new edition. Two people made the book possible and worked with Jim throughout and thus deserve to be noted first: Dr. Jarrett Quinn who handled much of the correspondence, as well as managing many of the Chapters, and Dr. Yue Hua Tan who contributed all the artwork, re-drawing the originals and creating the new, and organised the supporting documentation and spreadsheets. Bittner, J. (Separation Technolgies), Bouchard, J. (Université Laval), Boucher, D. (McGill University), Brissette, M. (Corem), Bulled, D. (SGS Canada), Cappuccitti, F. (Flottec), Cunningham, R. (Met-Chem), Demers, I. (Université du Québec en Abitibi-Témiscamingue), Doll, A. (Alex G Doll Consulting), Emad, M. (McGill University), Flament, F. (Triple Point Technology), Gilroy, T. (McGill University), Grammatikopoulos, T. (SGS Canada), Hart, B. (Surface Science Western), Jordens, A. (McGill University), Krishnamoorthy, N. (McGill University), Lotter, N. (XPS Consulting & Testwork Services), Major, K. (KMW Consulting), Maldonado, M. (Universidad de Santiago), Marcuson, S. (Marcuson and Associates), McIvor, R. (Metcom Technologies), Mitri, H. (McGill University), Morrell, S. (SMC Testing), Nesset, J. (NesseTech Consulting Services), O’Keefe, C. (CiDRA), Pax, R. (RAP Innovation and Development), Robben. C. (TOMRA Sorting), Schaffer, M. (Portage Technologies), Singh, N. (McGill University), Sosa, C. (SGS Canada), Sovechles, J. (McGill University), Smart, R. (University of South Australia), Waters, K. (McGill University), Williams-Jones, A. (McGill University). The book could not have been completed without financial and logistical support. Thanks go to the Natural Science and Engineering Research Council of Canada (NSERC) for the funding to support the McGill team; and to McGill University for the time to devote to the book and the use of the facilities. 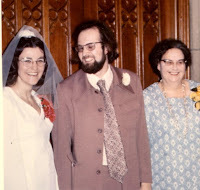 Last but never least, Jim would like to thank Lois, his wife of 42 years, for putting up with what grew to occupy most of his time over the past 2 years. A final reminder to all you crushing and grinding specialists that abstracts for Comminution '16 are due by the end of this week (October 31st). And for all comminution circuit operators out there- if you would like to present a 10 minute presentation on your operations, without the need to submit a formal paper, then we encourage you to do so. Full details of what to expect at the conference in Cape Town can be found on the posting of 7th September. Last night's Cornish Mining Sundowner, the biggest ever, was kindly hosted by Grinding Solutions Ltd (GSL) to showcase their new premises at Tresillian just outside Truro. Exciting things are happening at GSL who recently moved into a larger purpose built facility incorporating both its new laboratory space and offices. The new building is designed with room for growth and has a new dedicated analytical laboratory. The team at Grinding Solutions is go ahead and energetic and they have big expansion plans for new equipment and services. They are aiming to be the world leaders in fine and ultrafine grinding as well as working with major media suppliers on fine grinding optimisation and are fast becoming the experts in ceramic media wear testing and leading the way in producing a recognised standard test procedure. They are agents for Chinese company, and Comminution '16 sponsor, King's Ceramics & Chemicals, and it was a nice surprise to see Alex Wang and Joey Zhou, who are in Cornwall for a week to see the fine milling test equipment and procedures and what else the company has to offer. GSL has also been working with Plymouth University on mineral liberation studies and is continuing with a further project this year. 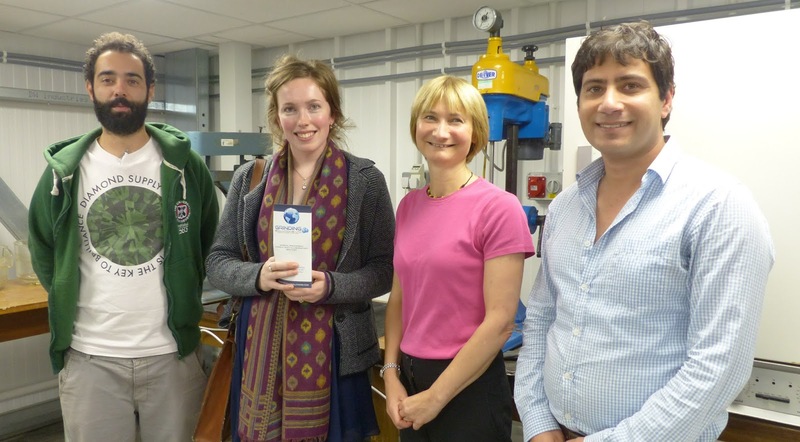 This summer they had three summer students working in the laboratory, two from Camborne School of Mines (CSM) and one from Swansea, opportunities through work place learning being part of the company’s goals. They are very proud to be part of the Cornish mining community and are taking an active part in the Cornish Mining Cluster that is being backed by the UKTI. They have strong links with other mineral processing providers in the county and prefer to use local suppliers for outsourcing, such as Petrolab (posting of 10th September) for their mineralogical testing. Over the last 18 months GSL has acquired a number of new pieces of equipment, and enhanced some of their existing equipment, expanding their capabilities and tests on offer and Simon Bailey and Kathryn Hadler were obviously proud to show the equipment on offer. The latest piece of comminution testing equipment to be received is the Metso Jar Mill, this allows them to offer VERTIMILL grindability studies, used for the sizing and design for Metso VERTIMILL industrial applications, and it was good to meet Metso Sweden's Shane Sullivan and Graham Davey, of Metso UK, a mineral processing graduate from CSM in 1991. In the photo below Shane Sullivan (right) looks on as Kathryn Hadler explains the principle of the Netzsch stirred mill, the inspiration behind the IsaMill, which first introduced stirred milling into the minerals industry in the 1990s to exploit the extremely fine grained McArthur River lead–zinc deposit in Australia’s Northern Territory, and to satisfy the need for finer grinding at the Mount Isa lead–zinc concentrator. Graham Davey is 2nd left below. Also with me and Nick is long-serving CSM mineral processing lecturer Richard Pascoe, who retires later this year. Two former Directors of CSM were present last night, Keith Atkinson (1994-2002) and Frances Wall (2008-2013). 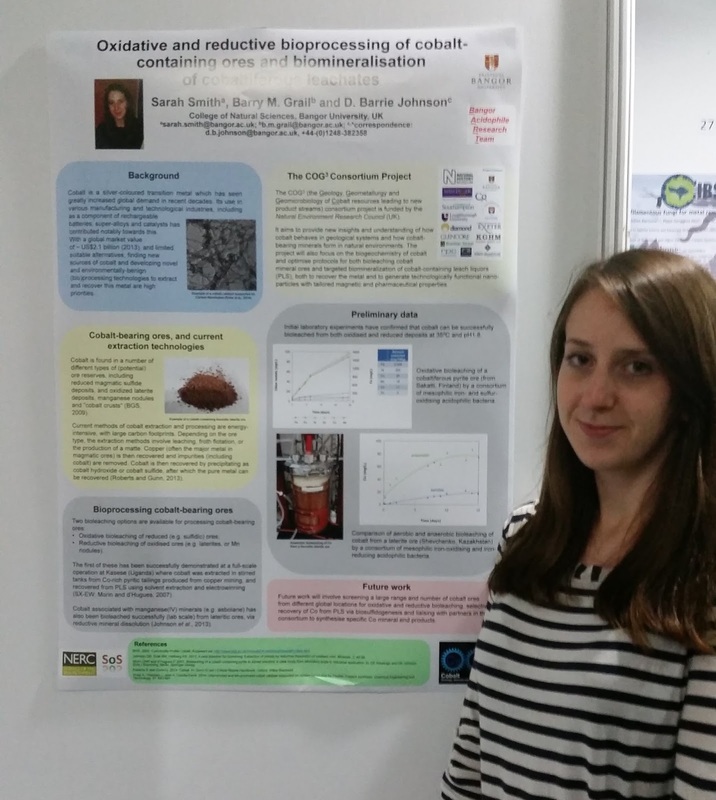 Frances is still very active in research at CSM and was accompanied by three of her current PhD students, working on rare earths, Igor Vsantana (Brazil), Camilla Owens (UK) and Safaa Al Ali (Iraq). It was also good to catch up with Linda Shimmield and her husband Mark, who had travelled all the way from their home in Singapore. 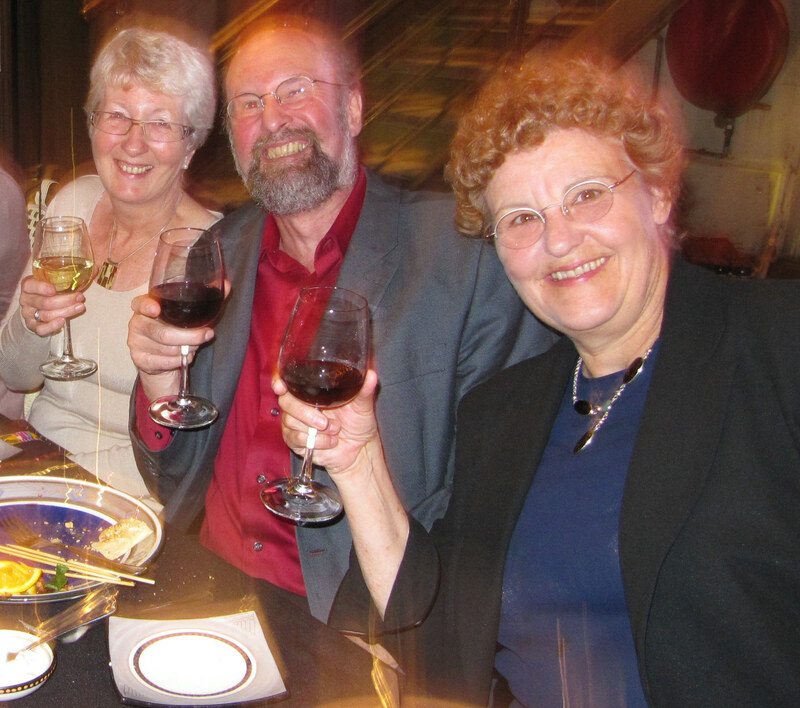 Linda set up the CSM Association in 1989, such that past CSM students and staff could keep in touch, and this has been an enormous success, Linda being secretary from 1989-1996, until she left for Australia, after which Carol Richards looked after it from 1996-1999. Unfortunately Mary Shepherd, who was secretary between 1999-2005, and a regular sundowner, could not make it last night, but Claire Yelland, the present secretary, was there. Also good to see Malcolm Hooper, now a retired consultant and Bentley Orchard, formerly with Weir Minerals, who has just announced his retirement. Luke Rogers of Deister Concentrator attended Physical Separation '15 back in June. 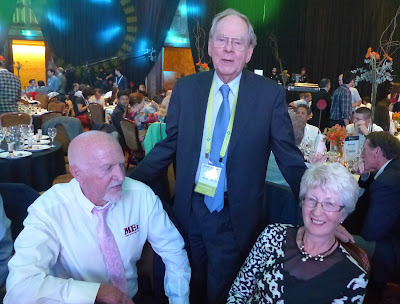 He graduated from CSM in 2014 with an MSc in mineral processing, and it was nice to talk to him and his father, Stan, also a CSM graduate from 1969, who, like many in our industry, has had an interesting life in many parts of the world. Stan is now retired and living in Cornwall. All in all a great evening with interesting people, and I thanks Nick and his team at Grinding Solutions for their hospitality. More good news on Australian awards, Paul Cleary a few days ago, Sandy Gray last week, and now the great news that Prof. Graeme Jameson, of the University of Newcastle, Australia, has received this year’s inaugural A$250,000 Prime Minister's Prize for Innovation. The Prime Minister's Prizes for Science are Australia’s most prestigious and highly regarded awards for excellence in scientific research, innovation and science teaching.The Prize was presented last night by the Australian Prime Minister, the Hon Malcolm Turnbull, at a dinner in the Great Hall at Parliament House, Canberra. Graeme was one of six prize winners for science in 2015 and he received the prize for "how trillions of bubbles earned billions for Australia". This refers, of course, to the well known Jameson Cell, considered by many to be the nation's biggest export earner in the last 25 years. With well over 300 cells now in operation across 25 countries, the Cell is being used for copper, coal, zinc, nickel, lead, silver and platinum extraction world-wide. Prof. Jameson' research continues to push the boundaries and he is currently working on the Novacell, a Fluidised Bed Flotation Cell that has the potential to make massive reductions in the energy used in the minerals industry. The device will increase the upper particle size limit of flotation and drastically reduce the mining industry's energy and water consumption. He will be presenting a paper on coarse particle flotation in fluidised beds in 4 weeks' time at Flotation '15 in Cape Town. I have known Graeme Jameson for several years. 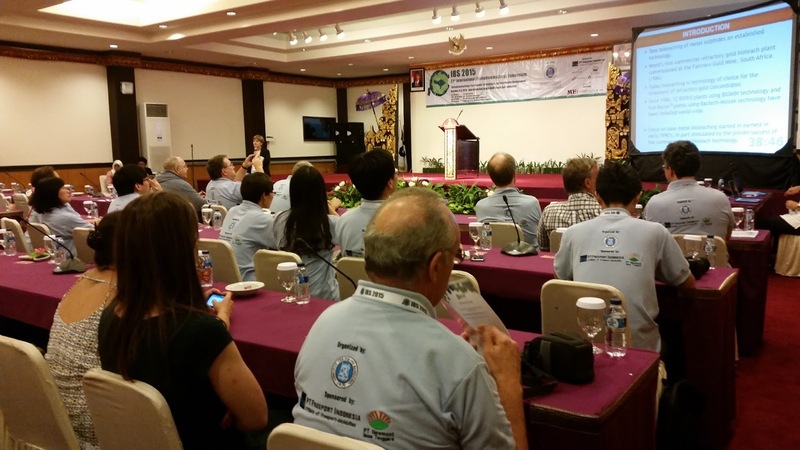 He has presented research papers at all MEI’s Flotation conferences and was a keynote lecturer at Flotation ’09. He is a long-standing member of the Editorial Board of Minerals Engineering and is the recipient of many major awards. I was pleased to nominate him for International Mining’s Hall of Fame, into which he was inaugurated in 2014. In 2013 he was awarded the SME’s prestigious Antoine Gaudin Award in Denver. In 2005 he was recognised in the Australian Queen's Birthday honours list, being made Officer of the Order of Australia, "for service to engineering, science, industry and the environment as an inventor and through contributions in the fields of fluid and particle mechanics, mineral processing, water and wastewater treatment and particle technology.” In the same year he was made Laureate Professor of the University of Newcastle, Australia, recognising his many contributions to research and his international standing in the field. He was the first person to receive the award, which is reserved only for a small number of outstanding researchers. He remains the Director of the Centre for Multiphase Processes in the University. Other accolades include the CSIRO Medal and being recognised as a Fellow of the Australian Academy of Sciences, the Royal Academy of Engineering in the UK and the Australian Academy of Technological Sciences. We at MEI feel honoured to have such a good association with Prof. Jameson and his work. 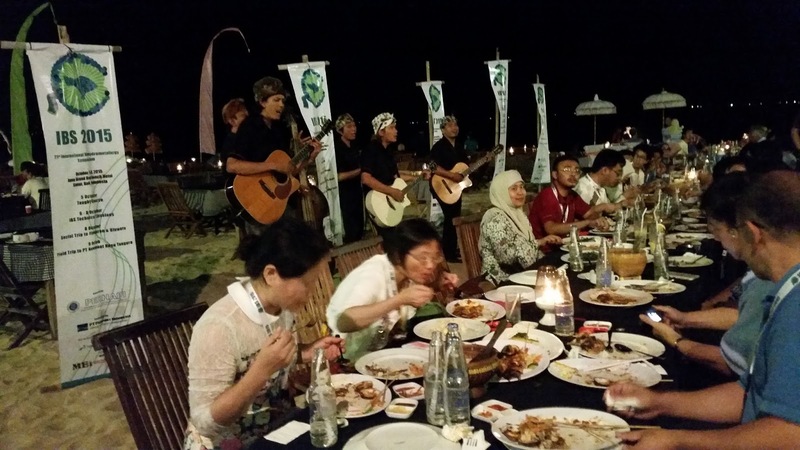 The 21st International Biohydrometallurgy Symposium (IBS 2015), organised by the Institut Teknologi Bandung (ITB) and Perhapi (Association of Indonesian Mining Professionals) and sponsored by PT Freeport Indonesia, Newmont, Pertamina, and J Resources, with MEI as media partners, was held at the Grand Inna Beach Hotel, Sancur, Bali from October 5-8, 2015. After registering early on Monday morning I had the rest of the day free whilst a course - "Cultivation and Molecular Techniques for Isolating, Cultivating and Identifying Extreme Acidophiles" - was taught by Raquel Quatrini and Barrie Johnson, authors of "Acidophiles: Life in Extremely Acidic Environments", from 8am till 4.45pm. 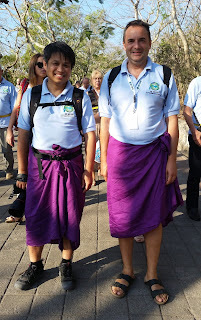 I got my first chance to meet the other delegates at the Opening Ceremony later that evening. The Opening Ceremony began with an address by the conference chairman, Zaki Mubarok, head of the Metallurgical Engineering Department at ITB. 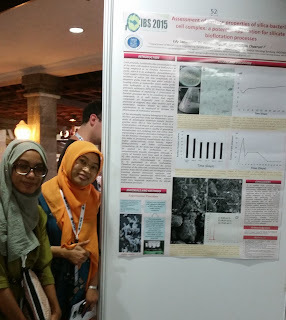 As well as welcoming the IBS series to Indonesia for the first time, Zaki informed us that 160 abstracts had been accepted for the conference, representing 24 countries and divided into 96 oral presentations and 64 posters. David was presented with a certificate and a batik by Mariekie Gericke, Head of Microbiology at Mintek, South Africa, after which we were ushered outside, where the Gala Dinner took place next to the beach. An extensive buffet of Balinese food was accompanied by entertainment from traditional Balinese dancers and musicians. After dinner, I headed to the hotel's beach bar with Barrie Johnson, head of the Bangor Acidophile Research Team, UK, and his wife Jan, Frank Roberto, of Newmont Mining Corporation, USA, and his wife Megan, Angela Murray and Lynne Macaskie, of the University of Birmingham, UK, to sample the local beer, Bintang, which I must say, was very drinkable! The first day proper of the conference began with the first of three keynote addresses. Jan van Niekerk, MD of Biomin, South Africa, presented "Factors Affecting the Selection of Biox as the Preferred Technology of a Refractory Gold Concentrate", in which he spoke not just about the technical criteria for selection but also the overall project economic evaluation, risks involved, impact on the environment and local communities, process operability, and the implementation strategy. Following this, the presentations were split into two parallel sessions. Session 1B , "Microbe-Mineral Interactions", included an interesting talk from Paivi Kinnunen, of the VTT Technical Research Centre, Finland, on "Industrial Views to Microbe-Metal Interactions in Sub-Artic Conditions" which highlighted the potential of industrial bioprocess utilization in cold climates while emphasizing their special characteristics and challenges. 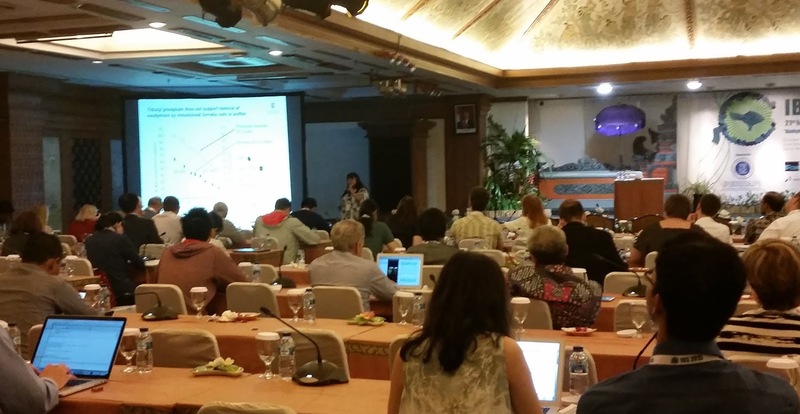 Session 1A was focused on "Bioleaching of Copper Ores and Concentrates". It included presentations from Roberto Bobadilla Fazzini, Research, Development and Innovation Manager at BioSigma, S.A, on "Mineralogical Dynamics during Copper Sulfides Bioleaching, the Search for the Missing Link", Mohammad Khoshkhoo, of Lulea University of Technology, on the "Role of Microbial Activity in Bioleaching of a Pyritic and a Pure Chalcopyrite Concentrate", and Naomi J. Boxall, of CSIRO, Australia, on "Chalcopyrite Bioleaching at High Sulfate Concentrations". After coffee, Axel Schippers, of BGR, Germany, presented the first of six invited talks, entitled "Reductive Bioleaching for Extracting Metals from Oxidised Ores such as Laterites and Manganese Nodules", following which, Session 1A continued up to lunch and Session 1C, "Bioflotation, Biosorption and Bioaccumulation" began. 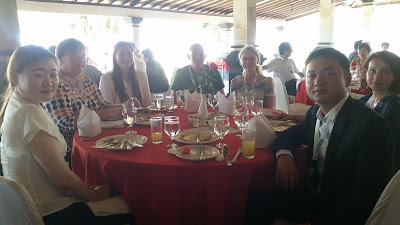 I had a nice chat over lunch with Simone Schopf, Fabian Giebner, and Sophie Ullrich of the TU Bergakademie Freiberg, Germany, Sabine Kutschke, of the Helmholtz-Zentrum Dresden-Rossendorf, Germany, and Paivi Kinnunen, of the VTT Technical Research Centre, Finland. The afternoon sessions began with the second invited talk, "Saline Water Bioleaching with Thermophilic Fe(II) Oxidising Microorganisms", presented by Elizabeth Watkins, of Curtin University, Australia. In which, Elizabeth described how work on the chloride tolerance of three Fe (II)- and sulfur-oxidising thermophiles and the effect of chloride on metals extraction from mineral sulfates lead them to conclude that the rank order of NaCl tolerance is Sulfolobus metallicus >>> Acidianus brierleyi >>> Metallosphaera hakonensis. 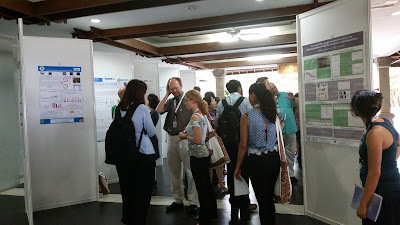 This took us into the afternoon sessions, 2A and 2B, "Bioleaching of Sulfide Ores and Wastes" and "Fundamental Microbiology" respectively, each of which included a half hour coffee break before finishing at 4.30pm for Poster Session 1. That evening, dinner was provided for the delegates. As with lunch it was a sit-down buffet and it was excellent with a good selection of meat, fish and vegetable dishes to choose from. 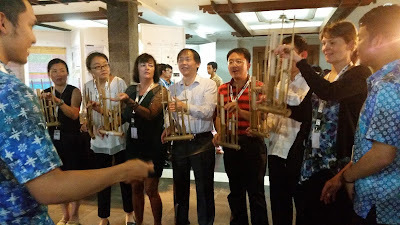 Entertainment was provided by students from ITB who demonstrated how to play the traditional bamboo instruments which we had all been given in our delegate packs. They gave a fine rendition of Que Sera, Sera... and then invited delegates up to have a go! After dinner, I joined the same group as Monday night, minus Lynne who had final checks to make for her presentation the next morning. 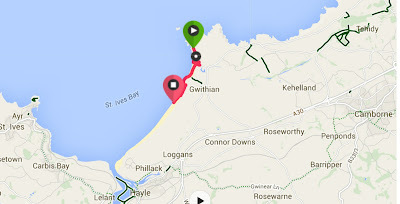 This evening we headed a little further afield, to another beach bar to the north of our hotel. More Bintang's were consumed! Today began at 8am with the second keynote lecture. Delivered by David Dreisinger, of the Uni. of British Columbia, Canada, it was entitled "The Production of Soluble Ferric Sulphate via Biological and Chemical Processing of Iron Sulfides". Angela Murray, of the Uni. of Birmingham, UK, opened Session 3A, "Downstream Processing & Metal", with a talk on "Biosynthesis of Zinc Sulfide Quantum Dots using Waste Off-gas from Metal Bioremediation Process", in which she explained how the clean recycling of minewater in bioremediation process waste gas can be used to produce high value quantum dots product. "Biorecovery of Rare Earth Elements: Potential Application for Mine Water Remediation"
Meanwhile, Session 3B, "Microbial Ecology and Communities" was opened with a paper by Sabine Willscher, of TU Dresden, Germany, entitled "Comparison of Microbial and Geochemical Conditions of Lignite Coal Spoil and Overburden Areas and their Environmental Impact". After coffee, Keiko Sasaki, of Kyushu University, Japan, presented the third invited talk, "Spectroscopic and Microscopic Investigation for Biohydrometallurgy". This was followed by Session 3C, "Bioremediation of Metal-Bearing Wastes" and Session 3D, "Molecular Biology Research". Delegates were then treated to a longer than planned lunch break due to a few no shows in the programme, including the fourth invited speaker. Sessions 4A, "Bioreactor Based Research", and 4B, "Phytoremediation/Bioremediation" took us up to the afternoon coffee break. Raquel Quatrini, of Andres Bello University, Chile, presented the fifth invited talk, "Genomic Taxonomy of the Acidithiobacilli". This emerging field of study embraces aspects of evolutionary biology and population genomics in order to uncover the phylogenetic structure of the domains of life, with the goal of extracting valuable taxonomic clues from available genomic information. This can then be used to establish a solid framework for the identification classification and study of prokaryote species. After Raquel's talk, Sessions 4D, "Microbial Corrosion and Electrochemistry", and 4C, "Fundamental Studies", took us up to the second poster session. Ores and Biomineralisation of Cobaltiferous Leachates"
Processing of Deep-Buried Base Metal Deposits"
Delegates had this evening free, so I headed to the beach with Angela Murray and Lynne Macaskie for a refreshing drink of coconut water, followed by a pizza at a beach bar. 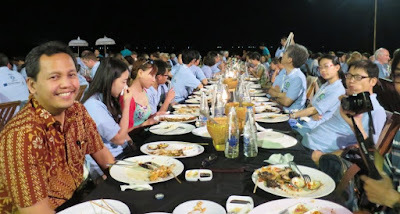 The last day of the conference was a half day, with a social trip held in the afternoon/evening. The day began with the third keynote speaker, Ricardo Amils, of the Centro de Astrobiologia, Spain, presenting "Geomicrobiology of Rio Tinto, a Model of Interest in Biohydrometallurgy". Ricardo's research group has been working on the Tinto basin for more than 30 years and have proven that the extreme conditions found there are due to an active subsurface bioreactor that obtains its energy from the high concentration of massive sulfidic minerals existing in the Iberian Pyrite Belt, rather than mining. Two drilling projects have provided evidence of subsurface microbial activities operating in this bioreactor and the resources provided by the rock matrix to support them, and Ricardo discussed its biohydrometallurgical interest. Session 5A, "New Applications of Mineral Bioprocessing Technologies" then took place in Room A until lunchtime, with the usual half hour break for coffee in the middle, whilst Session 5B, "Impact of Mining and Bioremediation of Wastes", took place in Room B until coffee, after which Session 5C, "Recent Developments in Microbiology" took us up to lunch. After lunch, we all met again for the final keynote speaker, Mariekie Gericke, of Mintek, South Africa, who gave an informative talk on "Base Metal Tank Bioleaching: from Laboratory Test Work to Commercialisation". Mariekie outlined Mintek's approach to chalcopyrite leaching and concluded that, amongst other things, bioleaching of base metal concentrates should be viewed as a niche technology, with treatment of polymetallic sulfide concentrates remaining the most likely niche for the application of agitated tank bioleaching for base metal concentrates. 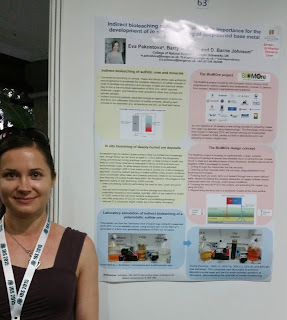 "Base Metal Tank Bioleaching: from Laboratory Test Work to Commercialisation"
Mariekie's talk ended the technical portion of the conference and was followed by the presentation of medals for the best 5 posters and the best 3 oral presentations. 1. Subhabrata Das, of the National University of Singapore, for "Gold Biodissolution from Electronic Scrap and Biomineralization of Bacterial Gold Nanoparticles". 2. Sabrina Hedrich, of BGR, Germany, for "Biotechnological Recovery of Valuable Metals from Lignite Ash". 3. Masahito Tanoka, of Kyushu University, Japan, for "Effect of Cu(II) on Bio-scondite Crystallisation using Acideanus brierleyi". 4. Eva Pakostova, of Bangor University, UK, for "Indirect Bioleaching of Sulfidic Ores and its Importance for the Development of in situ Processing of Deep-Buried Base Metal Deposits". 5. Tri Wahyuningsih, of the Institut Teknologi Badung, Indonesia, for "Assessment of Surface Properties of Silica-Bacterial Cell Complex: A Potential Application for Silicate Bioflotation Processes". 1. Hee-Chan Jang, of the Uni. of Sydney, Australia, for "Overcoming the Bacteriostatic Effects of Heavy Metals on A. Thiooxidans Direct Bioleaching of Saprolitic Ni Laterite Ores". 2. Christian Thyssen, of the Uni.of Duisberg-Essen, Germany, for "Biofilm Formation and Stainless Steel Corrosion Analysis of Leptothrix discophora". 3. Jeong He Kim, for "The Effect of Streptomyces sp. Isolated from Acidic Cultures of Minerals on Plant Development in Environments Polluted with Mecury". 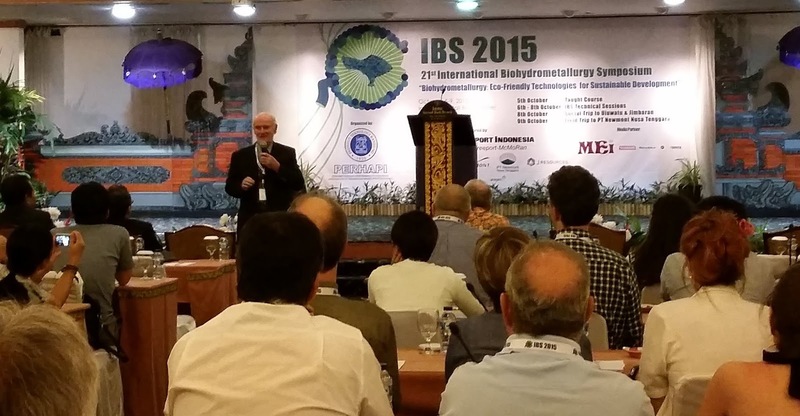 Next up was the announcement that the IBS 2017 will be held on the 24-27 September, 2017, in Freiberg, Germany. Delegates from Germany presented a short video on the benefits on holding the IBS in Freiberg, while stressing that this will be a European IBS rather than a German one. 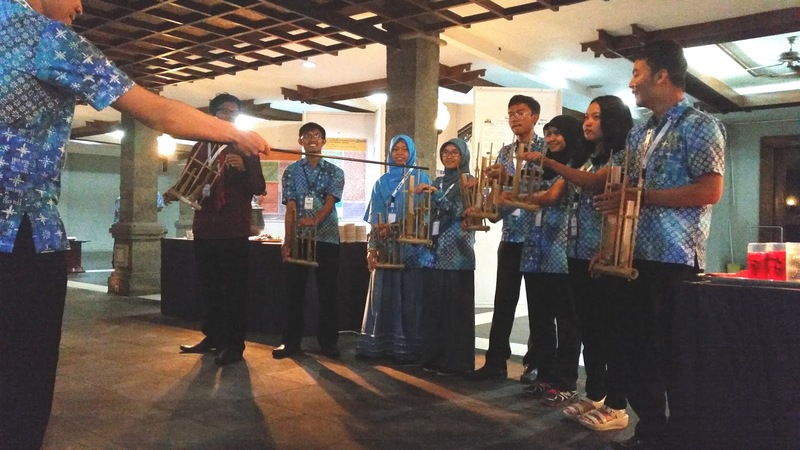 There then followed two bids for the IBS 2019, one from Perth, Australia and one from Fukuoka, Japan. Delegates voted via a show of hands for their preferred venue, with Fukuoka winning by a slim margin. The conference chairman, Zaki Mubarak, concluded events with a closing speech before we all boarded coaches for the social event. 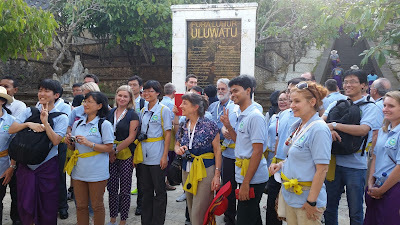 A fairly long drive was made easier by our enthusiastic tour guide for the afternoon, Ketut, who kept up an interesting commentary on our way to Uluwatu Temple. 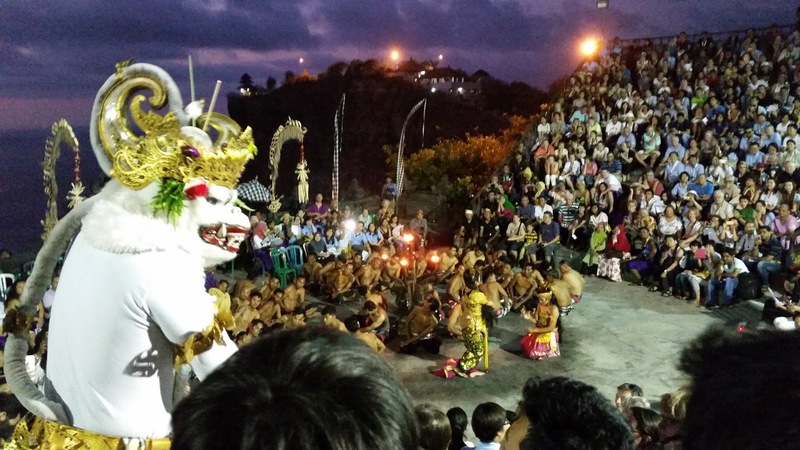 Uluwatu Temple is one of six key temples believed to be Bali's spiritual pillars, is renowned for its magnificent location, perched on top of a steep cliff approximately 70m above the sea. 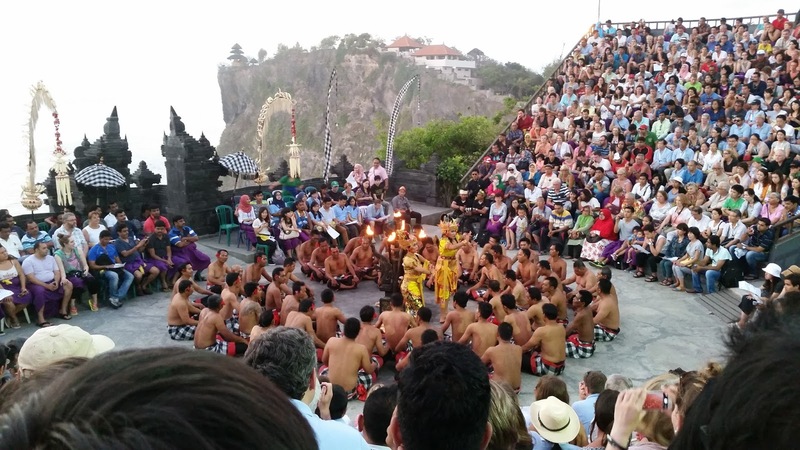 The highlight of our visit was a fantastic performance of the Ramayana & Fire Dance, which we viewed with a a backdrop of the sun setting into the ocean. 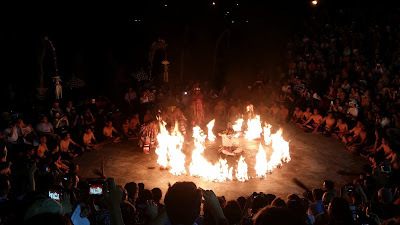 This Kecak dance is a combination of ancient ritual, dance and drama, accompanied by a choir of chanting and singing men. It was quite spectacular! The white monkey was the star of the show! 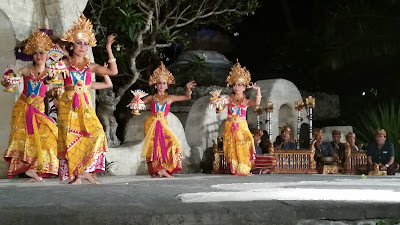 We then boarded the coaches for a short trip to Jimbaran Beach, where we were treated to a seafood BBQ and entertained by traditional dancers and a more modern roving band who took requests. I would like to take this opportunity to congratulate the organisers of IBS 2015 on a well run conference in a stunning location. I thoroughly enjoyed my time in Bali and came away with happy memories, new knowledge, and new friendships. I will be making every effort to attend IBS 2017! On behalf of MEI I would like to congratulate Dr. Paul Cleary, Chief Research Scientist at CSIRO Australia, on being elected a 2015 Fellow of the Australian Academy of Technological Sciences and Engineering. 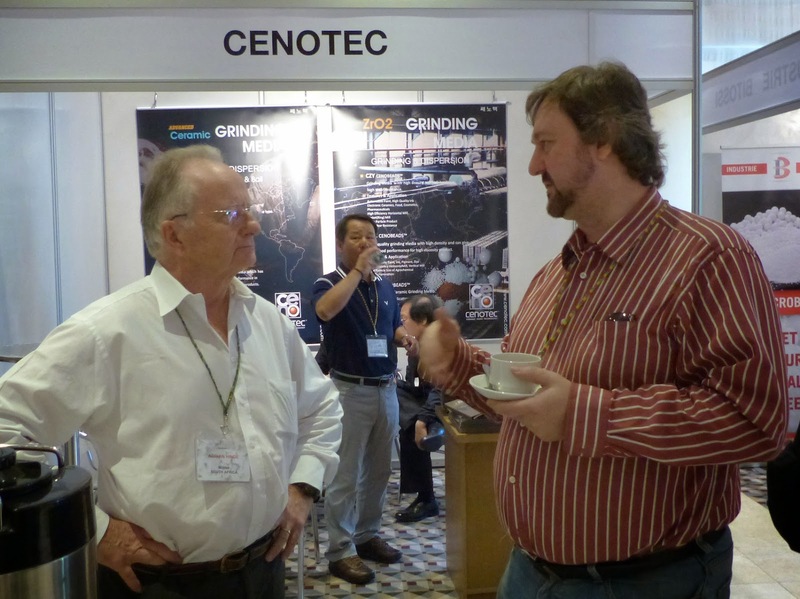 Paul is a well known figure at MEI's comminution conferences, where he excels in DEM presentations. For many years he has been a valued member of the Editorial Board of Minerals Engineering. The election is extremely well deserved, as Paul is an outstanding talent in computational modelling and has delivered major impact through novel modelling methodologies, software tools and application to numerous industrial applications. His research standing has been built through novel developments in particle-based computational modelling and in using these to create fundamental insights into the flow of particles, fluids, solids and bubbles in complex multiphase systems. His research has had a significant impact on the development and worldwide adoption of particle-based methods for modelling fluid and particles flows. There are very few easy walks on the north coast of Cornwall, but one that does come into that category is the magnificent 3 mile stretch of sand between Godrevy and the mouth of the Hayle River. The wide sandy beach below Gwithian Towans is a haven for surfers and walkers, as are the Towans (dunes) above the beach. Barbara and I made use of the autumn sunshine yesterday and took a 2-mile stroll along Gwithian sands from Godrevy, stopping to look at the amazing folds and faults in the rocks forming the cliffs below the dunes. 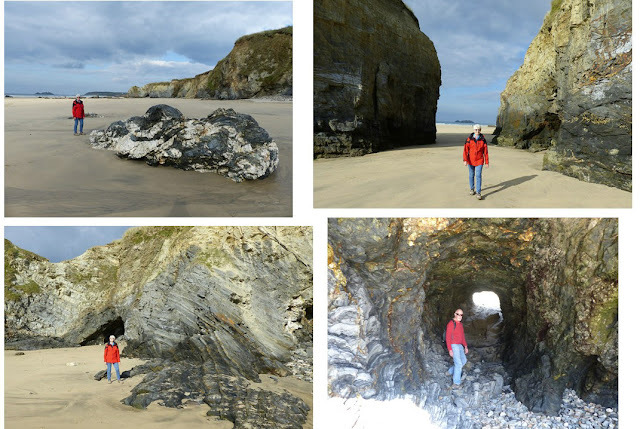 These are some of the oldest rocks in Britain, originally Devonian sediments laid down around 400 million years ago, detritus from the very ancient Calidonides mountain range which once stretched across the now border between England and Scotland. Later they were metamorphosed and tortured within the earths crust, but prior to that they lay as horizontal strata for around 150 million years. 150 million years, try to imagine that - well you can't of course, the human mind cannot get to grips with the immensity of even a million years. But around 150 million years ago the supercontinent of Pangea was beginning to break up, the Atlantic Ocean was beginning to form, as were the continents as we now know them. But the history of these rocks takes us even further back into geological time, to the formation of Pangea itself in the late Carboniferous/early Permian period. Around 300 million years ago ancient continents were finally coming together into the single supercontinent and the unimaginable tectonic forces forged a new mountain range and partially melted the underlying mantle, which crystallised into igneous granite, which underlies all these rocks. These cliffs are the roots of the ancient Variscan mountain range, remnants manifesting themselves today as the Urals, the Pyrenees, and in SW England the high moors of Dartmoor and Bodmin. The intense heat and pressure metamorphosed the sediments into a hard vitreous rock, known locally as killas, and as this cooled it cracked and the cracks were later filled with hot hydrothermal fluids, containing minerals, quartz in this area but a couple of miles inland the tin and copper minerals which would be mined millennia later. A reminder of the proximity of the mines of Camborne-Redruth is the Red River which flows across the beach into the sea at Godrevy. Once the adits from the mines drained into this river, which also carried hematite-bearing tailings, from where the river gets its name. Now crystal clear I can remember seeing it in the mid 1970s, when it ran bright red from the tailings of South Crofty tin mine, as did the sea around Godrevy lighthouse. I regret that I did not take photos of this 40 years ago, but would be very interested to hear from anyone who did. Earlier in the year I interviewed Sandy and Elizabeth Lewis-Gray, perhaps the most well-known and respected husband-and-wife team in minerals engineering (posting of 16th March). They are the co-founders of Gekko Systems, which is a world leader in gold processing technology, as well as the design, construction and operation of energy efficient modular plants. 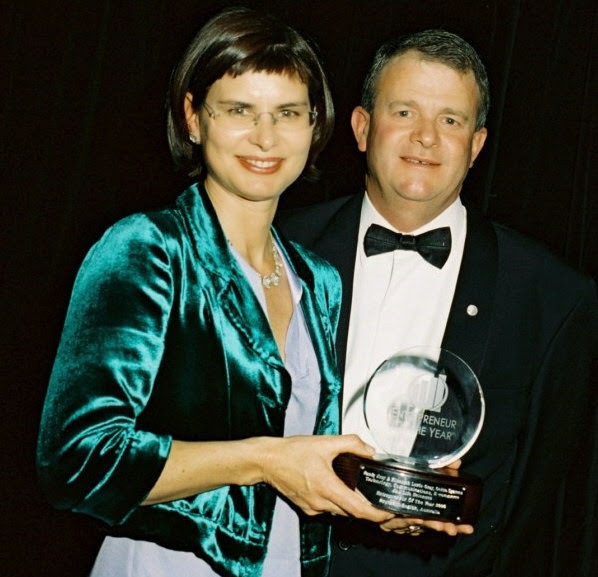 I am pleased to see that Sandy has been inducted into the International Mining Technology Hall of Fame in the concentration category for 2015. In second place was Dr D. R. Nagaraj (Nag) who has more than 35 years of outstanding and innovative achievements in the design, development and commercialisation of numerous families of novel flotation reagents. Nag will be presenting a keynote paper on the evolution of flotation chemistry research at next month's Flotation '15 in Cape Town. 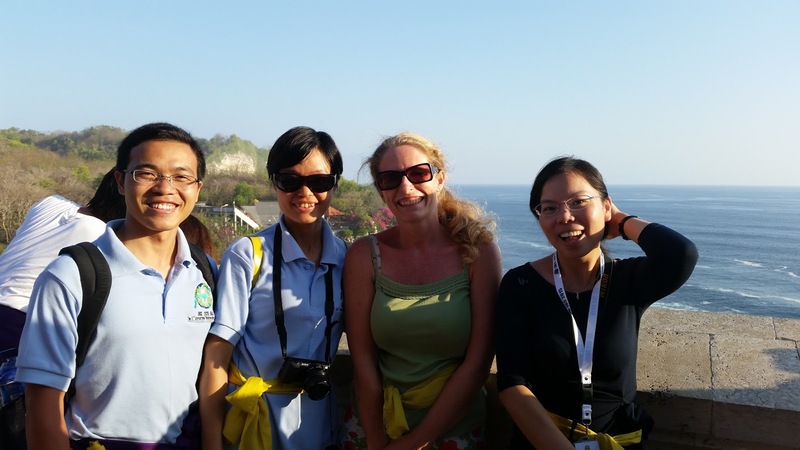 Good to see that even on her free day in Bali Amanda found time for networking. 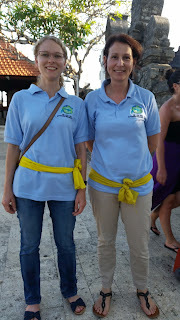 Last Friday she had the opportunity to go diving on the wreck of the USAT Liberty at Tulamben on the N-E coast of Bali. A group from the Bangor Acidophile Research Team (BART), made up of Carmen Falagan, Ana Araujo, Eva Pakostova, Rose Barata Holanda and Sarah Smith had already booked to go and were kind enough to let her, Megan Roberto and Angie Murray (of the University of Birmingham) join them. 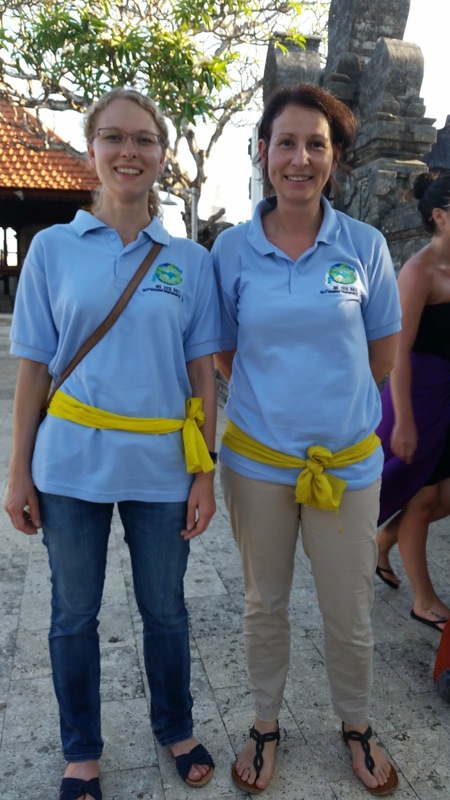 Amanda said " Me and Megan - who is married to Newmont's Frank Roberto, who has agreed to give a keynote at Biohydrometallurgy '16 - are seasoned divers (ahem!) and so dived together. Unfortunately Carmen, who was to join us, had a problem with her ear and could not dive. 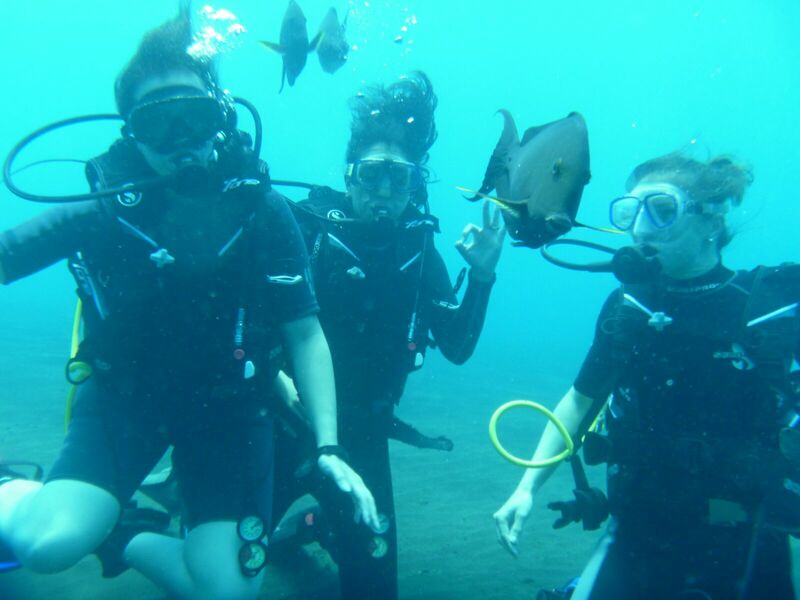 The others were all first time divers and were taken down in another two groups". Amanda has obviously had a tough week in Indonesia, and hopefully will take it easy for a little while now she is back in the UK, bearing in mind that she has another hard week coming up shortly in Cape Town. Born in 1947 and educated in the UK Jim Finch graduated from Birmingham University with a BSc in Minerals Engineering in 1969. He then moved to Canada to undertake an MSc and then a PhD in Metallurgical Engineering at McGill University. He obtained his PhD in 1973 and was then appointed to the staff at McGill, where he has remained ever since, becoming a full professor in 1985 and serving as Chair from 1988 to 1991. 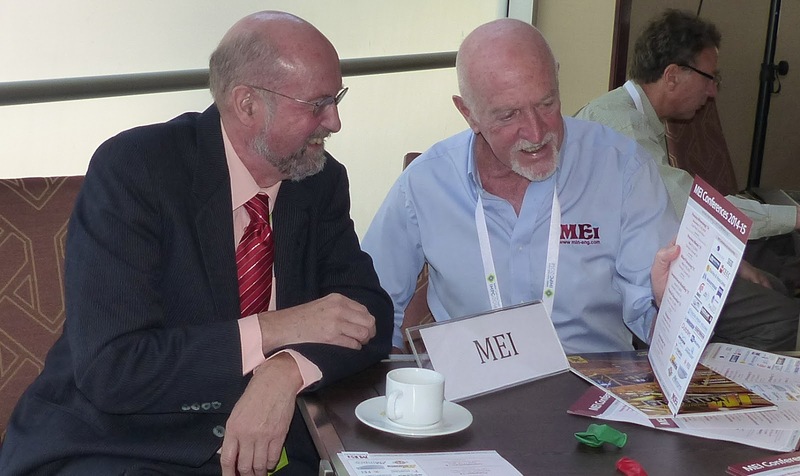 We have been good friends ever since; Jim has contributed much to MEI Conferences, being a keynote speaker at Flotation ’11 (posting of 15th November 2011) and a consultant to MEI’s flotation conferences, and we regularly meet at SME Annual Meetings and IMPCs. He is a recipient of the SME’s prestigious A.M. Gaudin Memorial Award, and represents Canada on the International Mineral Processing Council, being chair of next year’s event in Quebec City. 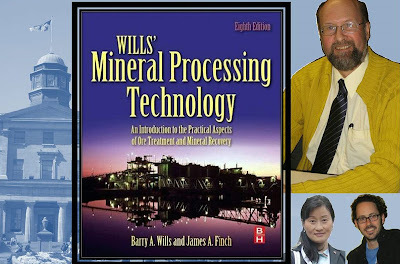 Jim was also a natural choice as Editor of the 8th edition of Mineral Processing Technology, which will be launched at Flotation ’15 (posting of 10th August) and as a Canadian representative on the Editorial Board of Minerals Engineering. Research funding has averaged over 500k/year for over thirty years, principally through the NSERC CRD (Natural Sciences and Engineering Research Council of Canada, Collaborative Research and Development) program, which has maintained a team averaging 15 members. His research has ranged from size reduction to magnetic separation and most prominently, chemistry and physics of flotation. 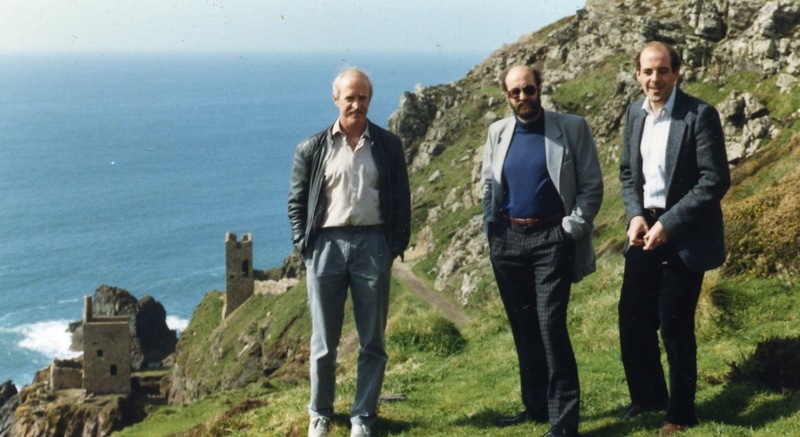 His research with Rob McIvor (PhD 1989) led to Functional Performance Analysis, a methodology for analysing grinding systems, the basis of Metcom Technologies, Inc. Rob will present a keynote and a workshop in this area at next year’s Comminution ’16 in Cape Town. The work on column flotation, recognized by the Alcan Award from the Metallurgy and Materials Society (MetSoc) in 1996 and the Gaudin Award from the SME in 1998, was central to MinnovEX Technologies Inc., co-founded by Dr. Dobby. The investigation of aero-hydrodynamics in flotation systems led to the development of gas dispersion technology, including a set of novel sensors to measure air velocity, gas holdup and bubble size, which was recognized by the Falconbridge Innovation Award (MetSoc, 2007). His latest research effort is in sulphide self-heating, a spontaneous heating problem associated with transport and storage of concentrates. The team has developed a unique facility to test samples and conduct research. Next to column flotation and gas dispersion technology this research into self-heating promises the next major contribution to industrial best practices. As part of his technology transfer activities since 1974 he has led a series of Mineral Processing Systems Professional Development Seminars, the most recent, May 2015, with 30 attendees. 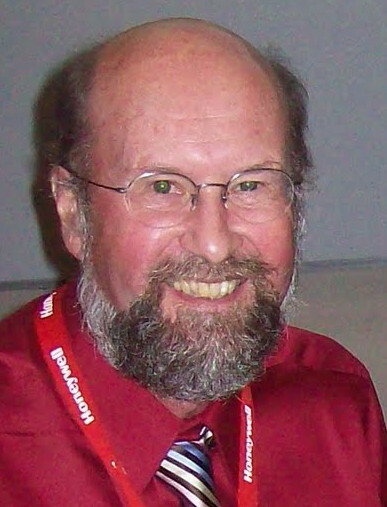 Industrial collaboration has been a hallmark of Jim’s career, culminating in the NSERC Leo Derikx Synergy Award for Innovation (2008). Among other distinctions, he was the Canadian Institute of Mining (CIM) Distinguished Lecturer, 1994, has twice won the award for best presentation from Canadian Mineral Processors (CMP) (1995, 1999) and for services to MetSoc, he received the Silver Medal (2005). His contributions to mineral processing were recognized by a conference in his honour at the 48th Conference of the Metallurgy and Materials Society, Sudbury (2009) (“Advances in Mineral Processing Science and Technology”, Eds. Gomez, Nesset and Rao, CIM), and a special issue of Canadian Metallurgical Quarterly (2010). He was elected a Fellow of CIM in 1989 and of the Academy of Science of the Royal Society of Canada in 2002, his international recognition leading to his nomination as Chair of next year’s IMPC. Have all these achievements gone to his head? Not at all, he has always been the most modest of men, who young students find very approachable and helpful and I always enjoy our chats over a beer or coffee during our frequent meetings around the world. Looking back on his early life at Birmingham, I asked him what were his fondest memories of that time, and which of the staff had the most influence on his career, and what prompted the move to Canada. "The choice of Birmingham University started in my senior year at grammar school" he said. "I had taken an optional course in Geology taught by an enthusiastic young teacher and it was during this year I also became aware of the Minerals Engineering program at the local university through a flier that was circulated. In the UK the choice of program was through a national admissions system and I selected several possibilities, including both Geology and Minerals Engineering at Birmingham. The next step was to be interviewed. I remember going to Royal School of Mines and Leeds, as well as Birmingham. Two things persuaded me to go to Birmingham, even though it was usual to go to a non-local university. The first was the interview. I first went to the Geology Department. Here the interviewer pointed out that I would most likely be ‘traipsing the Arabian desert looking for oil’ (and me with feet that blistered easily in the heat), and that the Minerals Engineering course had substantial Geology content but I was more likely to get a job! Of course the interviewer may have had his own motives for suggesting I go to another department, but I have always appreciated the advice. Immediately after I went to the Minerals Engineering Department. I was interviewed by a lecturer in one of the labs. He was everything a scientist should look like to my young eyes, a shock of hair and such intense concentration while he was performing an experiment that I was rather secondary to the exercise. I was fascinated, watching these bubbles overflow a tank. 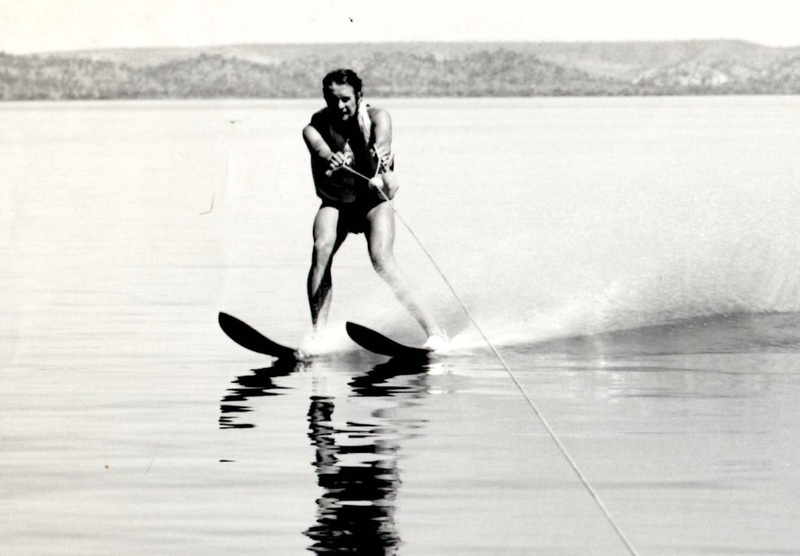 I later of course realized he was doing a flotation test, and the interviewer was Dr. Les Adorjan. This informality made an impression. And, incidentally, Les and I became good friends over the years". "The second reason was financial. Having included Birmingham among my selections, I was invited to another interview, this time for a possible Open Entrance Scholarship. This interview was conducted by a university-wide committee who wanted to know something about me outside the classroom. I cannot remember much of the conversation, other than we did spend some time discussing lawn bowling, a sport my father had introduced me to (along with snooker and darts) and that seemed to intrigue the committee that I as a youngster would take up a sport associated with retirement (I continued to play when in Canada). Anyway I was offered the scholarship (100 pounds/year) which included a place in halls of residence, something otherwise a local student could never hope to have. So there you have it, Birmingham selected though a combination of a scholarship and apparently a program, Minerals Engineering, preparing me for a good job". "The program was 3 years long. It covered many subjects but my favourite was mineral processing, taught by Les Adorjan. Some lectures were in other departments, including a first-year unit ops course in Chemical Engineering. Here I noted there were over 100 students in that department, while our program started with just 24. I liked the small number that promised a closer connection with the lecturers, and this turned out to be the case. In the final year we would be invited by some of the staff for a beer (or two). 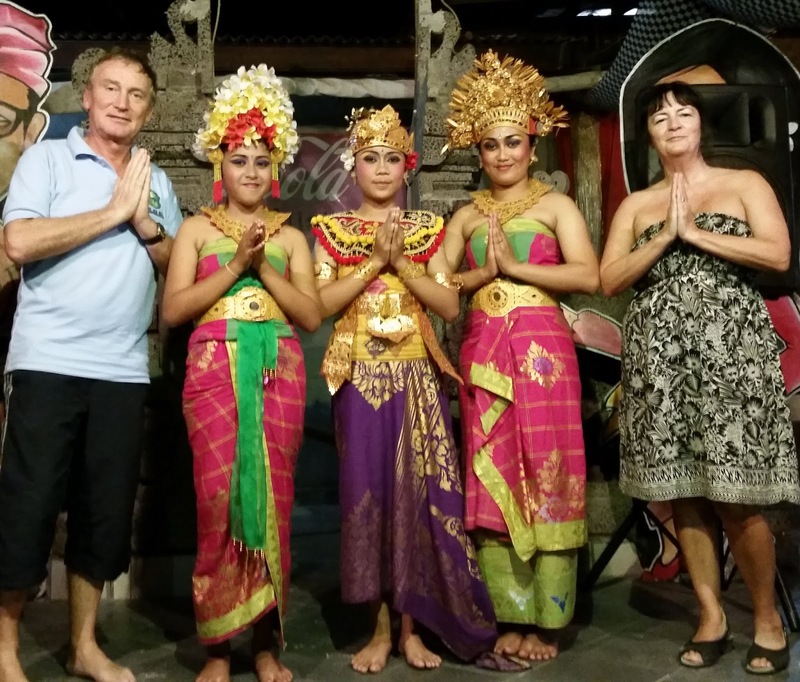 Three in particular, Tom (Brereton), Frank (Garner) and ‘the Doc’ (Dr. Bailey), made an impression listening to their experiences from literally around the world. The program also took us on field trips to operations in Ireland, Scotland and Cornwall, and we were found summer jobs. For me the job summer 1968 at Mount Isa Mines in tropical Queensland was a life-changer and cemented my choice of mineral processing as a career. When I returned I had a hard time with the idea of staying in England. I thought I’d like to try North America, possibly through a post-graduate degree. The staff were most encouraging". 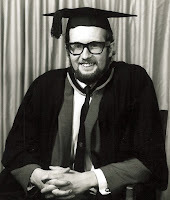 "I graduated with first class honours in 1969. (I mentioned there were 24 of us who started but only 14 finished, a testament not only to the hard slog of the program but also, it must be said, to some pretty hard partying by some. I enjoyed their company but managed to keep a balance.) I applied to several universities (or ‘schools’ as I learned they were often called) in the US and Canada, but only one replied with a personal letter from the Head of Department, McGill University. Professor Williams wrote saying they were building the Mineral Processing section of the Metallurgical Engineering Department, and I appeared to be just the sort of graduate student they were looking for. This was followed by an interview by one of the staff who was in the UK for a conference. On top of this attention I was offered a generous stipend plus a place in hall of residence. I accepted". "Next in the process was the interview at the Canadian Consulate in Birmingham. I passed the medical, and was then asked what status I wanted, either to come on a student visa or as a landed immigrant. On being told that the student visa had to be renewed each year, I chose to be a landed immigrant. It was 1969, and it was as simple as that!" 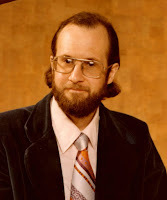 "Professor (Bill) Williams continued to be a major influence. I managed to finish the MSc in 1971, and the PhD in 1973 and Bill noticed not only the timely progress but also that I had had four papers published. 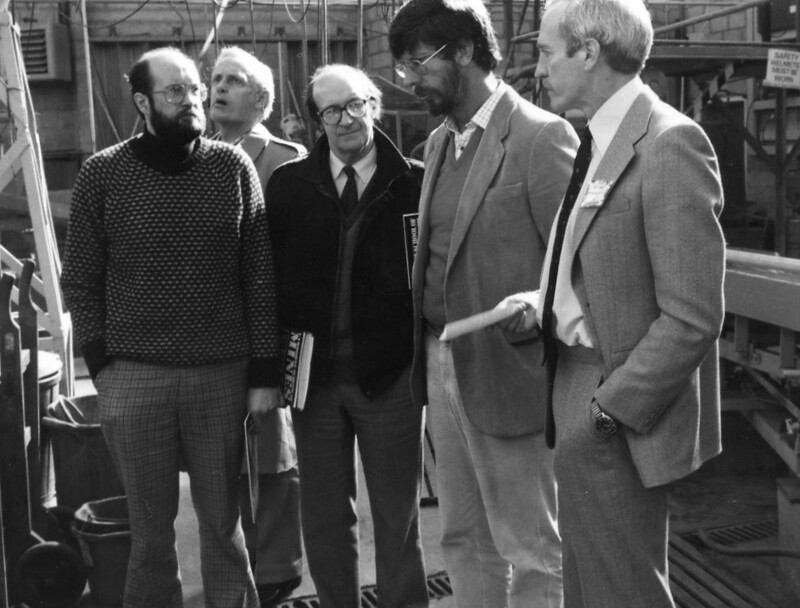 He offered me a lectureship which he converted to an assistant professorship in 1975, setting me on my career path. To provide some practical industrial experience he arranged a summer job at Pine Point Mines in 1974, which I followed up with summer stints at the Sullivan Concentrator (1975) and Pine Point again in 1977 and 1981. This mixing with my academic background has always stood me in good stead, opening opportunities for collaboration with industrial partners which has been the mainstay of my research". "Bill and the rest of the Department were guests at my wedding to Lois, January 1973. Lois was born in the US but had been in Canada since the mid ‘50s. We met at the Post-graduate Centre, a home away from home for the foreign students. I met people from around the world, South Africa, New Zealand, India. For the inevitable series of parties the natural source of female companions were the departments they tended to dominate, nursing and physiotherapy in those days. Lois was a physio, and so there you are. In the summer of 1972 I went to see her in Dallas, where her parents then lived (took me 42 hours on the bus) and that cemented it. I’m often asked how a boy from Birmingham could meet a girl from Dallas, and the answer, graduate school at McGill, then requires further explanation!" 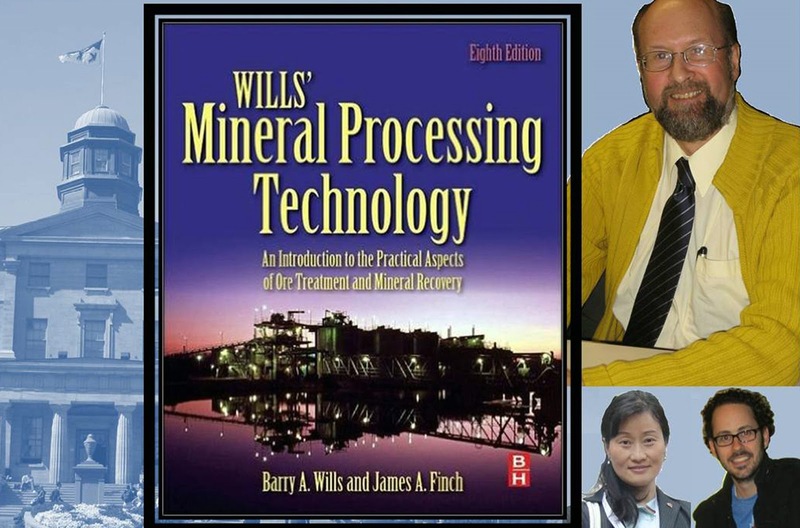 When I suggested to Elsevier that Jim would be the only person that I would like to have in charge of the 8th edition of Mineral Processing Technology, I never expected him to agree. But he accepted with enthusiasm, and maybe a little trepidation, and put together a strong team which has delivered what I consider to be a superb update of the text. I asked him what were the main challenges on undertaking this task and why, as a very busy academic, he agreed to the project when first approached by Elsevier. Also what would be his reaction if he was approached again in a few years’ time for a 9th edition! "It was a surprise, the email from Elsevier summer of 2012 asking if I would entertain editing Edition 8 of the classic Wills’ textbook" he said. "I did ponder for a few days then agreed. My subsequent rationalization is that after 40+ years of lecturing, research and training post-graduate students, I was planning to retire and had already stopped taking on new post-graduate students (my 50th PhD had just started and would be my last) and this promised to open some time to devote to the book. As part of post-retirement activities I had also agreed to be Chair of the XXVIII IMPC in 2016, so my window was 2013-15, which I thought would be enough. It took a little time to get organized, but two fresh PhDs, Jarrett Quinn and Yue Tan, enthusiastically agreed to help. From our first meetings we realized we needed more help, and started to draw up names. The timing again was right: I still knew lots of people, including former students, and most agreed that updating the Wills’ text would be a service to the profession. I am most grateful for their help (some 17 collaborators in all), which took the enterprise from a seeming impossible task (and it did seem that way on occasions) to a manageable one, provided I literally did nothing else. I was lucky that Lois, who had recently completed her PhD (2008), understood the time commitment. There have been some hints of a ninth edition, but after my first book, Column Flotation in 1990, I said never again, and I am going to repeat that here. Anyway, I think someone from the following generation should take on the task and create the book to take us into the second quarter of the 21st Century exploiting all the media avenues that continue to expand". The biennial International Mineral Processing Congresses (IMPCs) have been lavish affairs over the last 12 years or so, and Jim has the responsibility of chairing next year’s event in Canada. Has he any plans to make the Quebec City event something really special? What areas of mineral processing warrant special attention? "It is an honour as well as a challenge to Chair XXVIII IMPC in Quebec City" he said. "The city is the second oldest in North America, recently celebrating its first 400 years. Canada is home to some of the largest and most diversified mineral processing operations, and thus is a natural host for the IMPC for the second time, the first being 1982 in Toronto. Since it is Canada, and the next IMPC will be in Russia, we are planning sessions on the Arctic, along with other ‘frontiers’ including processing in space. The new discipline of phytomining, or agro-mining, where plants can be tailored to uptake metals, will be featured in the Environmental sessions. Downstream processing will have more visibility at Quebec City with symposia on Iron Control in Hydrometallurgy and Electrometallurgy. Already over 600 abstracts have been received, and a large team assembled to review. 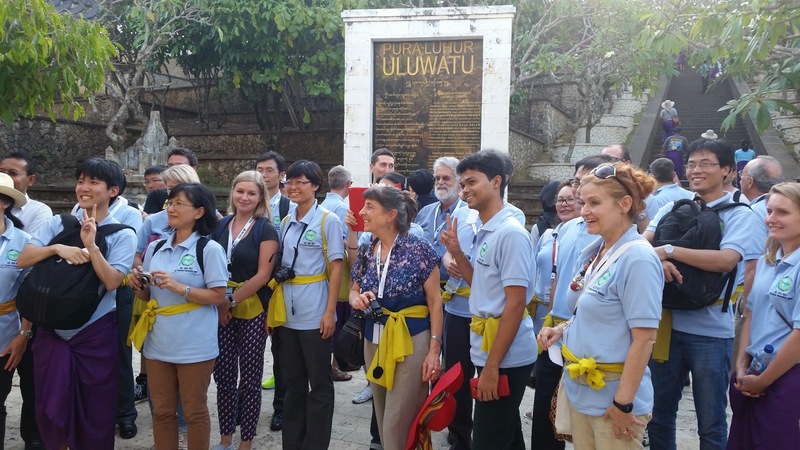 The cultural events will focus on getting the delegates out to see and experience this beautiful city just entering the fall-colours season, a city small enough to take in by street and river, with numerous first class restaurants inside the walled old town". Mineral processing has evolved rapidly this century, as ore grades decrease and the need to reduce energy and water consumption has become more pressing. I asked how he sees the industry evolving over the next few years. He replied "One fact as we go forward, mining will remain a cyclical business. The last 20 or so years may suggest the cycles will intensify, the experience of the “supercycle” in the first decade of the 21st century and the current retreat. It was not that long ago companies were complaining universities were not producing enough graduates, and the erosion of metallurgy programs in favour of materials appeared to bear them out. Now those arguments are falling away, and again we hear ‘human resources not natural resources’ are the economic drivers. I suspect, therefore, that mining and mineral processing departments will come under renewed pressure, and this time there may be less industry support (no cavalry riding to the rescue) and thus reduced numbers of graduates in the future. This will exacerbate the already steep decline in industry-based research as qualified personnel become scarce. While the sustainability drivers to reduce energy and water consumption will intensify, the ability to innovate could be hampered. One response may be in small and medium size enterprises generating technically imaginative solutions, something we are seeing already in fine crusher designs and coarse particle flotation machines. The fewer university graduates may find careers in these enterprises, and by starting their own, including professional development courses to augment the declining university commitments". "The combination of sustainability and reduced numbers of highly qualified people will force other innovations. More remote monitoring and eventually control “command” centres in comfortable urban settings will be set up. This would attract young people to the profession, seeing it as a modern industry. Underground milling, including in-situ leaching, could increase avoiding unsightly surface operations with their attendant pollution. Ways of matching supply and demand should be a win for all, but appears unlikely. The exception may be shale gas and oil production which apparently is relatively easy to shut off and re-start compared to conventional sources, which could stabilize carbon-based energy price and be a good start". Manpower is an increasing concern and I asked Jim what his views are on attracting more young people into our industry. "This is partly addressed above when considering the new entrepreneurial avenues that are opening" he said. "A related question is how I see the role of universities in the future. I see the health of the mining business and min pro university education as intimately linked, a link which may have to be severed. Conventional wisdom is that courses like mineral processing, which are linked to one industry and tend to be small in undergraduate numbers are expensive to maintain, and it is difficult to refute. Other small-number disciplines, such as my wife’s in physiotherapy, have become graduate degrees. In our case, students with a first degree in engineering could either take a one-year coursework masters in mineral processing at a university or it could be delivered remotely. What would be helpful is an internationally-agreed curriculum. The IMPC Education Commission is taking steps in that direction. A survey to determine what topics should be in the course, ‘what constitutes a mineral processor,’ is underway. First steps might be a dictionary of terms, and a book of problems (with answers) that could be organized through the Commission; and maybe the 8th Edition of Wills could be the standard text". Finally, once the IMPC is over, what are your plans for the future? Would you ever fully retire or do you see yourself always involved with the minerals industry? "When asked what I planned to do when I retired the obvious initial answer was finish the book and XXVIII IMPC. After that I must say the plan is less clear. Lois and I have moved to the country, a cottage on a lake in a very vibrant community. We have joined the golf club (Lois and I were runners up in the “husband and wife” tournament this year), the canoe club, the glee club, the curling club, and we started a bike club. The social whirl is such we have to get away every so often, especially during the summer, to slow down a bit. I have chatted with colleagues about teaching short courses at mine sites as there is a demand. I would be comfortable doing that. Former students in Chile have asked me to come down and assist in following up some research ideas we had at McGill. That is attractive. I have agreed to be on the technical advisory committee of a small company specializing in plant optimizations who are keen to use some of the concepts we developed at McGill; that is also attractive. Nothing fixed, but selected options I find interesting, including perhaps a couple more MEI Flotation conferences if asked!" You will certainly be asked Jim. As always it has been a pleasure talking to Jim and I look forward to catching up with him at Flotation ’15, and, of course, at next year’s IMPC.